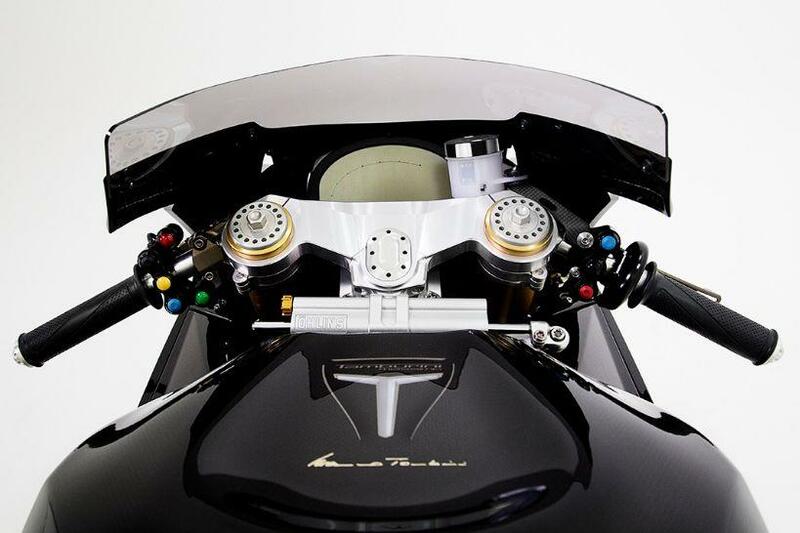 THIS IS the last bike created by legendary bike designer Massimo Tamburini before his death in April 2014. It’s called the T12 Massimo, and it’s a €300,000 piece of uncompromising track-only exotica – the product of Tamburini’s quest to make the ultimate superbike, and brought to prototype stage by his son Andrea. It’s powered by a 230hp superbike-spec BMW S1000RR engine, controlled by a Motec M170 ECU, with the rest of the spec list reading like it’s come straight out of the World Superbike or MotoGP paddocks. 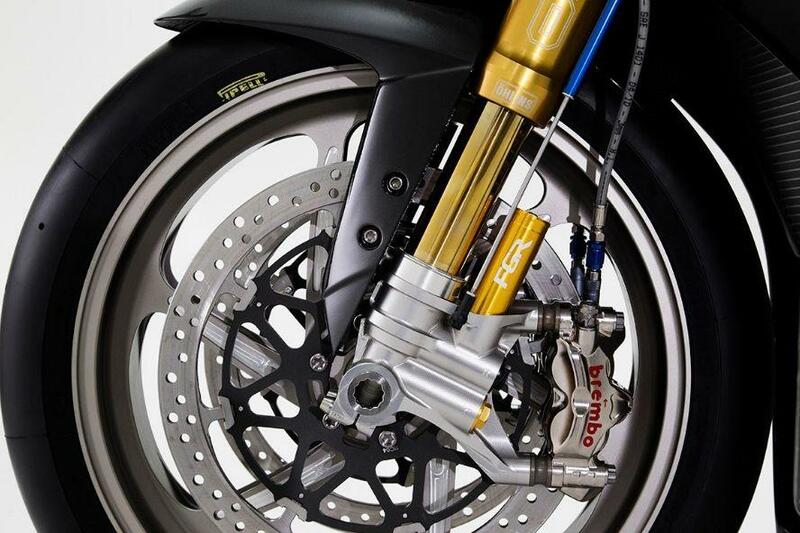 Cast your eye down the Ohlins FGR gas forks and suspension potentiometer and your gaze will come to rest on a set of GP-spec Brembo monoblocs with quick release brake lines. There’s an Ohlins shock in the rear, built to Tamburini’s specification and connected to a gorgeous billet aluminium linkage. In typical Tamburini fashion, the frame is a minimal high-tensile steel trellis affair and is part of a system that allows the bike’s rigidity to be adjusted to suit different tracks and riding styles. 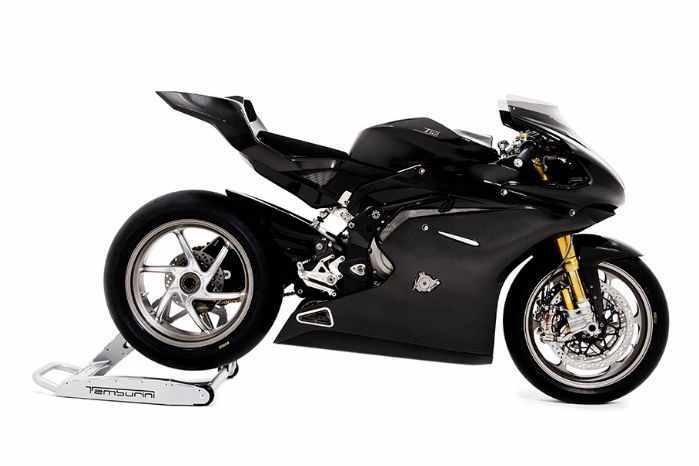 The list of materials is as uncompromising as you’d expect – all the cast parts, including the single-sided swingarm are made from magnesium, as are the Marchesini wheels. 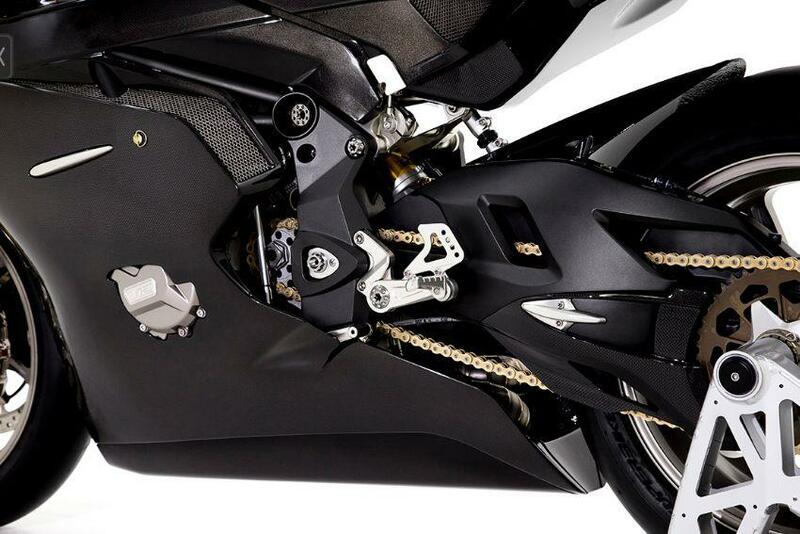 Items like the rearsets and top yoke are machined from billet aluminium. And of course, there’s plenty of carbon-fibre - all the bodywork is made of carbon, including the fairing, seat and self-supporting tank. 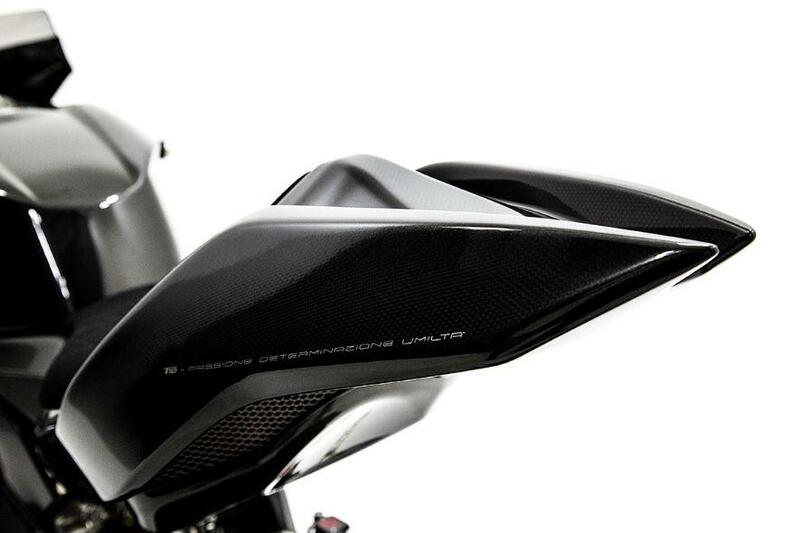 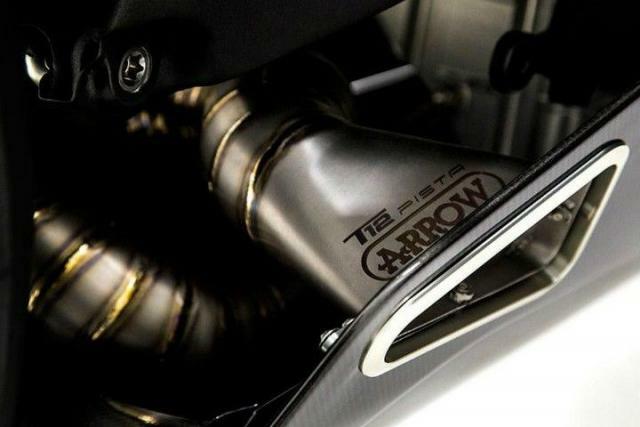 The airbox and intakes are also made of carbon. 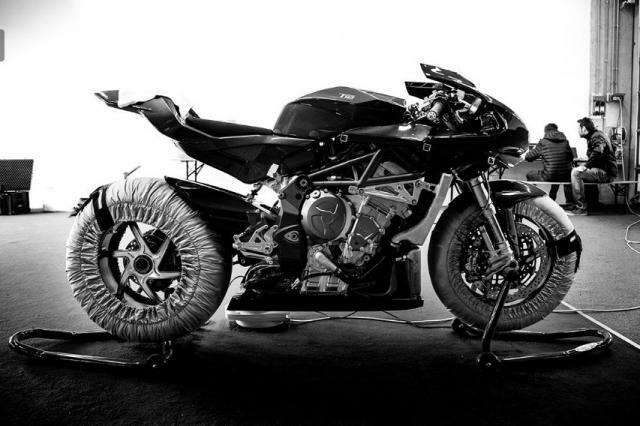 Thanks to this liberal use of exotic materials and no concern for the cost, the result is a bike with a dry weight of 154kg. 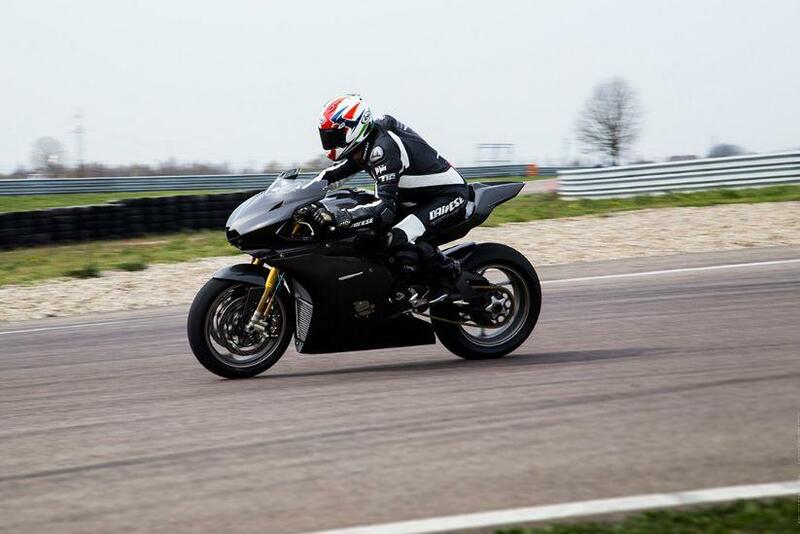 At the moment the T12 Massimo currently only exists as a prototype but it will be offered for sale and more information can be found on Massimo Tamburini’s website.